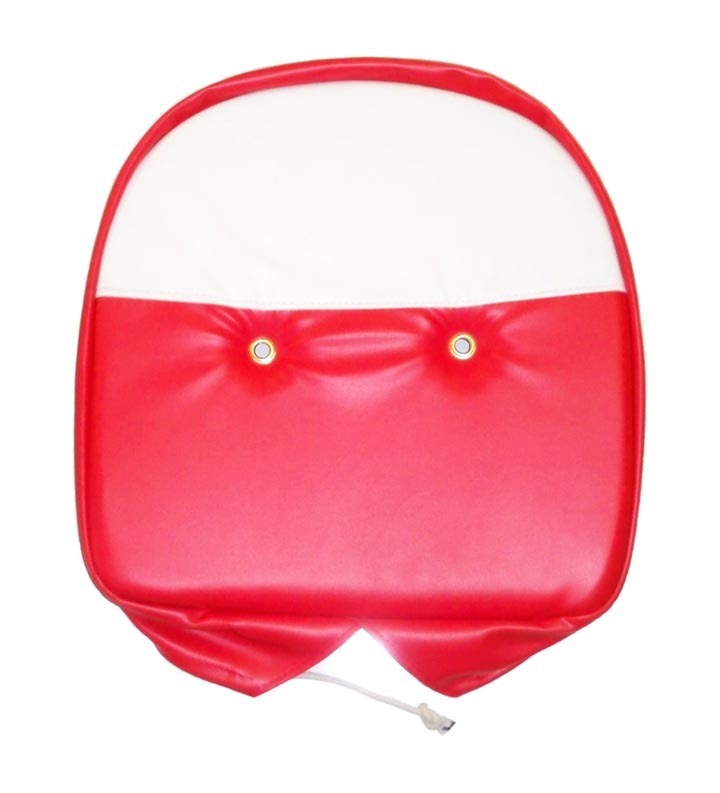 Our tie on seat cover is a high quality conventional design. 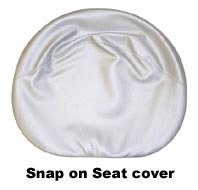 Our snap on seat cover comes with a foam pad and your choice of a red and white, or silver seat cover. 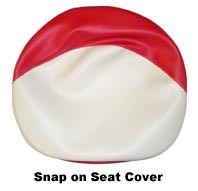 The snap on cover has a plastic channel around the seat that when warmed with a hair dryer will snap easily over the lip of your existing seat. Once installed the snap on cover has a very neat appearance and will not fall off or come loose (unless warmed with a hair dryer and removed). Only use a hair dryer to install or remove the snap on seat cover. 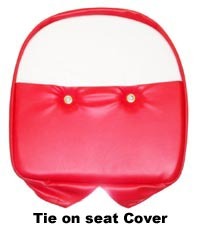 A traditional heat gun is too hot and will melt the seat cover and pad.